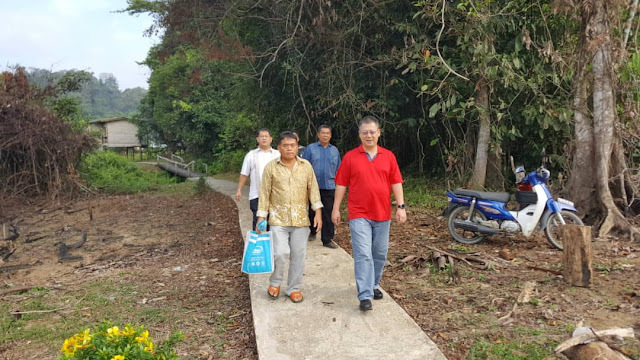 The journey by road Miri to Uma Wan Usin, Tubau recorded 321 km one way. 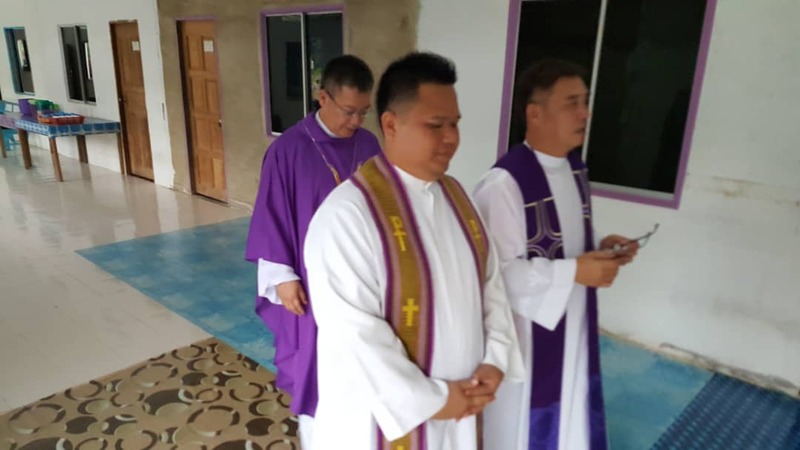 Right Reverend Bishop Richard Ng accompanied by Fr. 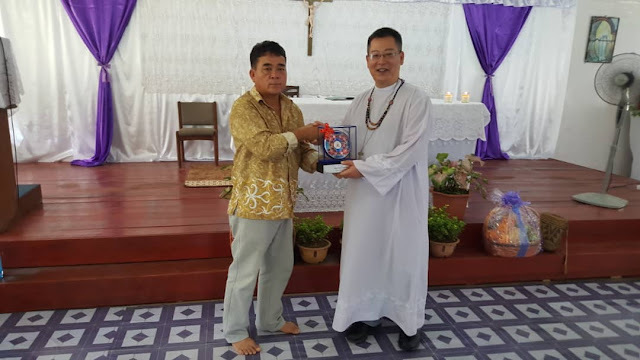 John Chia and Fr. 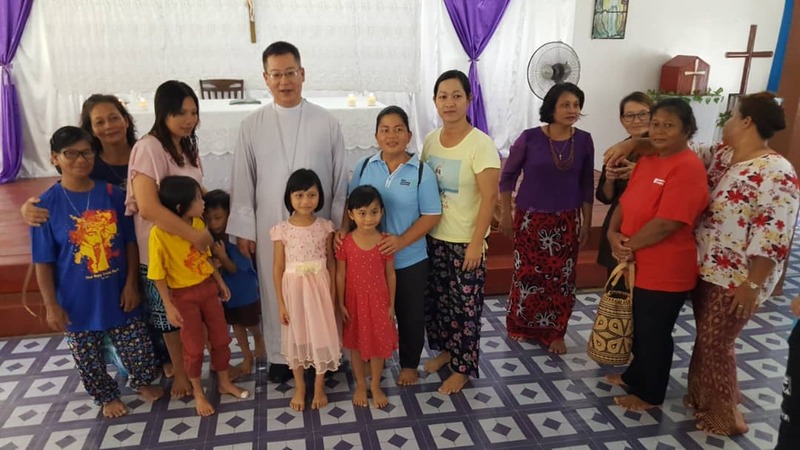 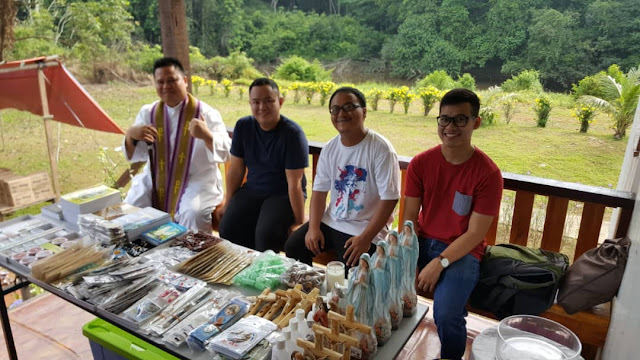 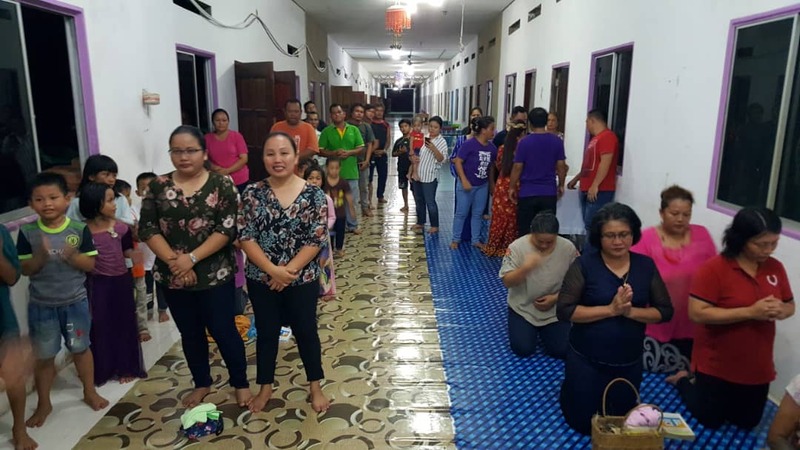 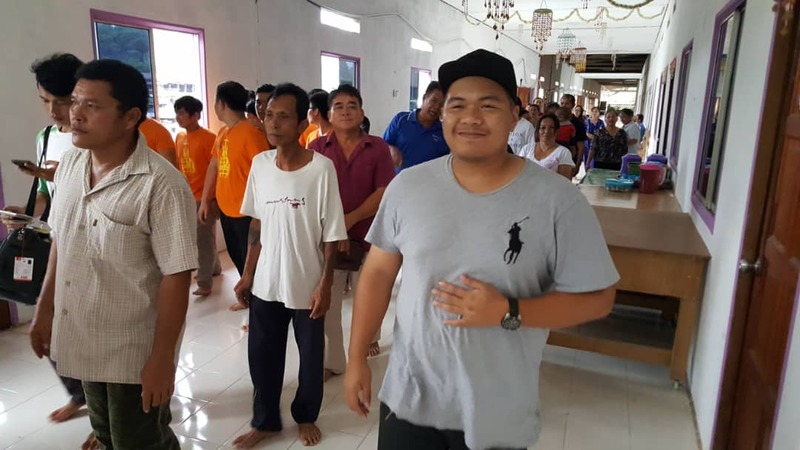 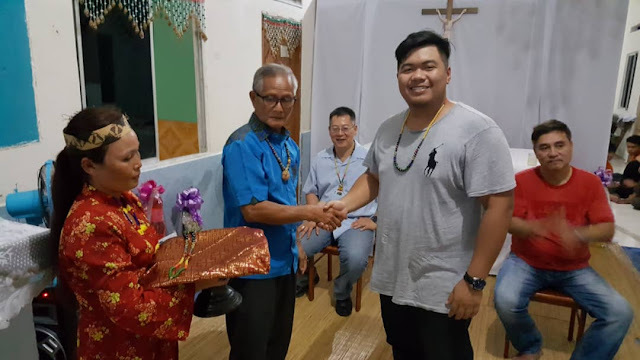 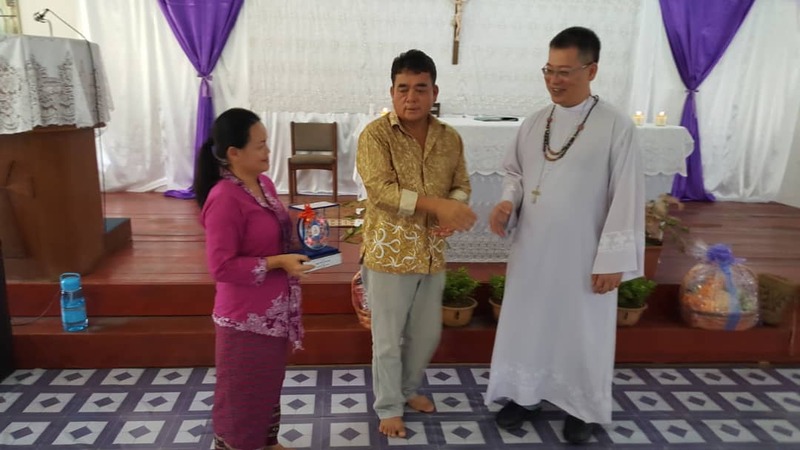 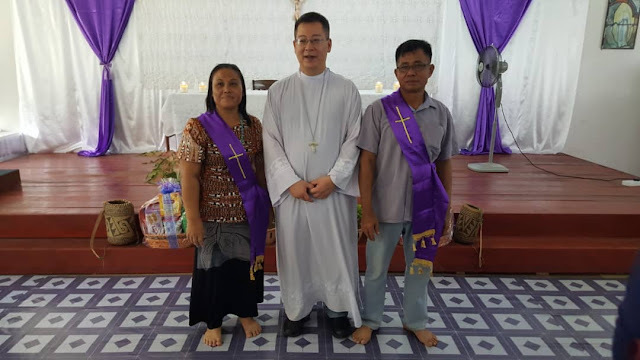 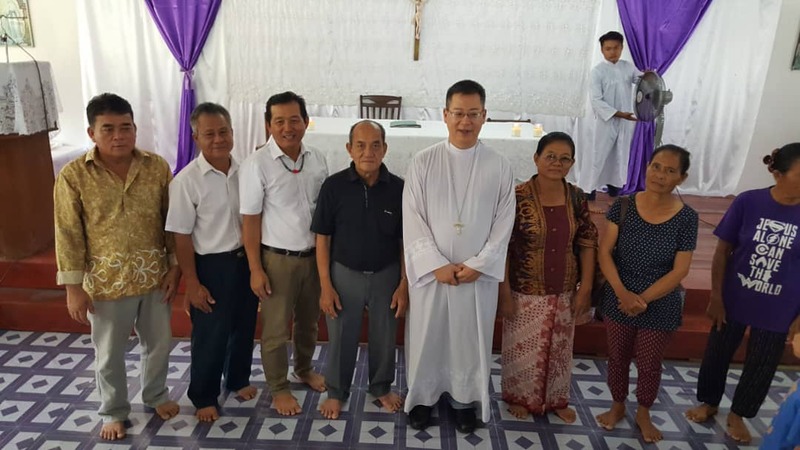 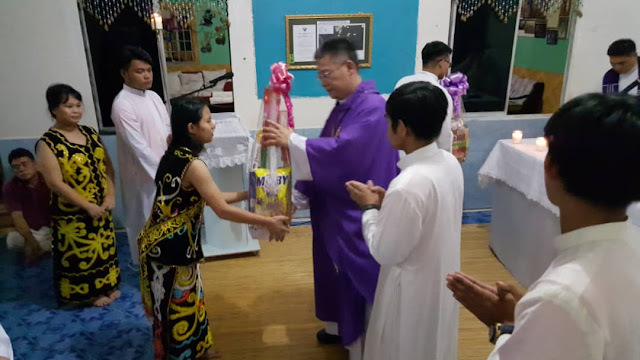 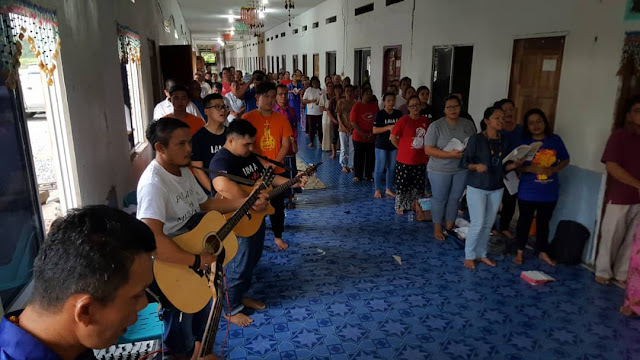 Sylvester Ngau celebrated sunset Mass with some 130 parishioners at Uma Wan Usin, Tubau 66-door Kayan longhouse 50% Catholics. 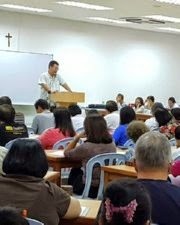 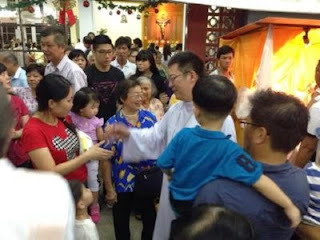 Datuk Jun Ngau Wan and his son Darryl Jun joined the pastoral visit to Holy Cross Parish Asap. 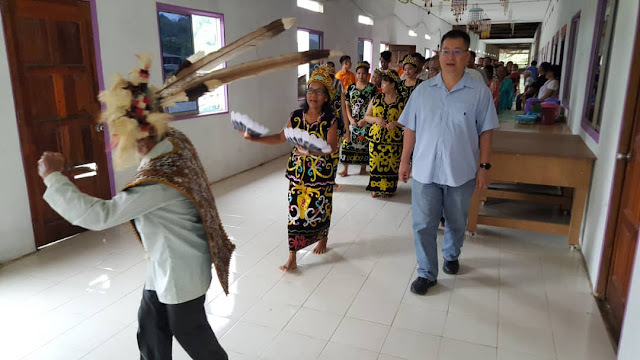 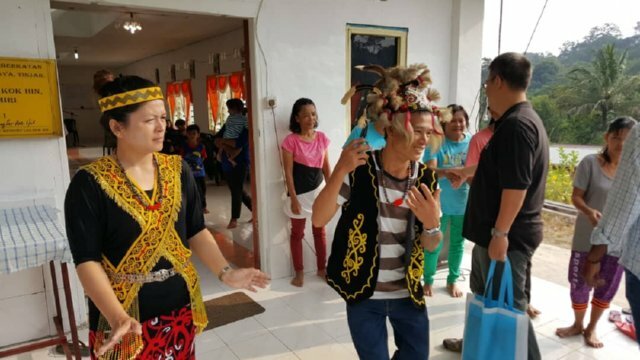 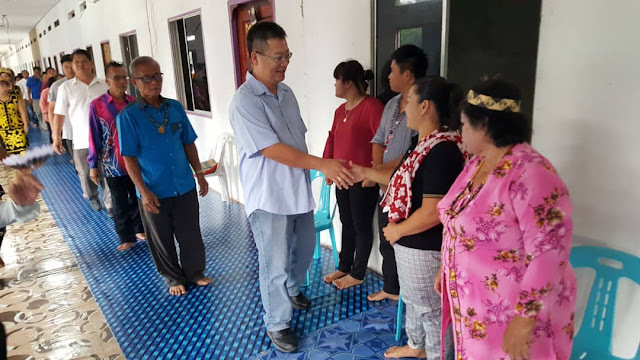 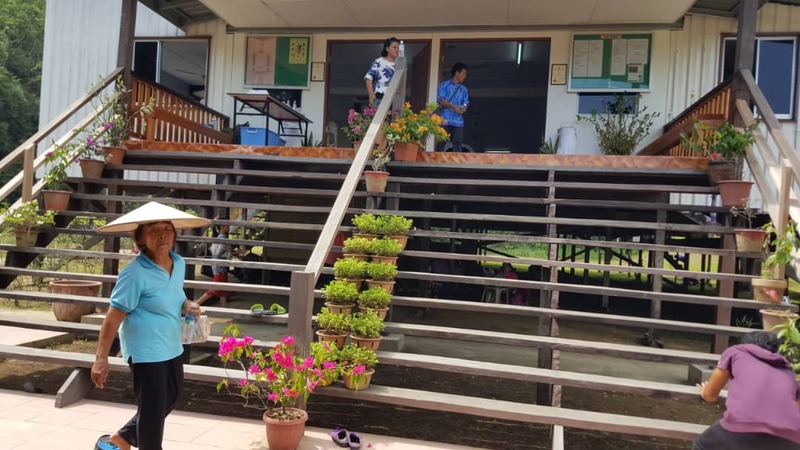 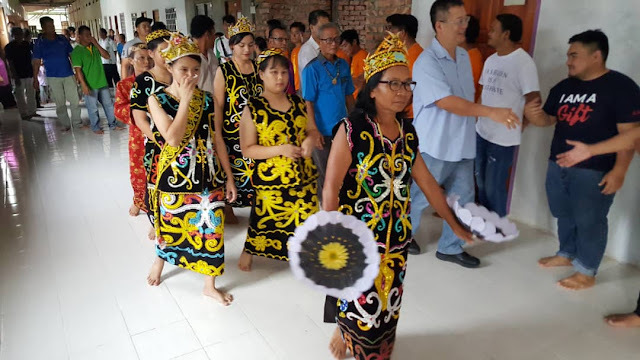 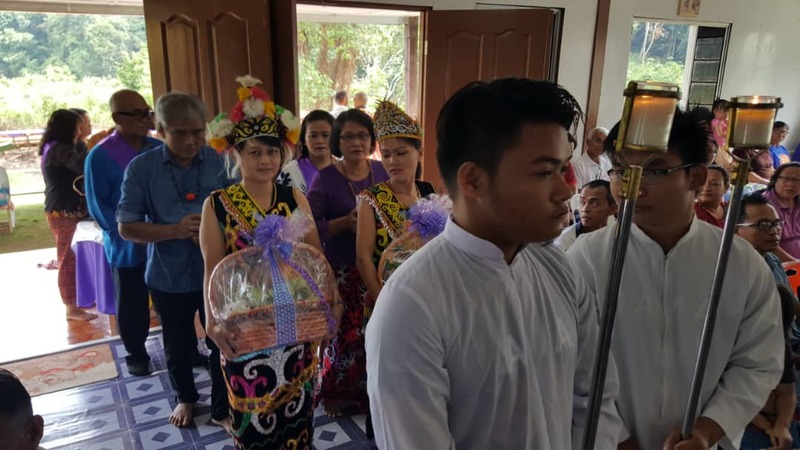 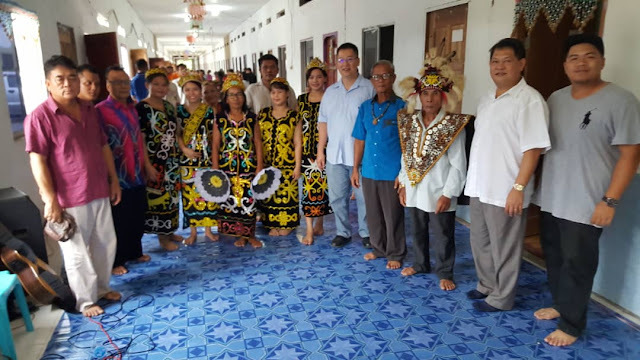 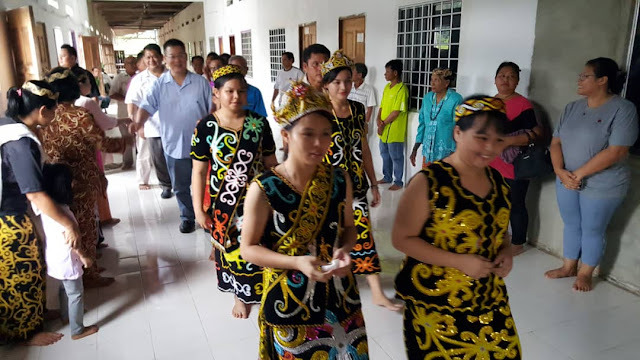 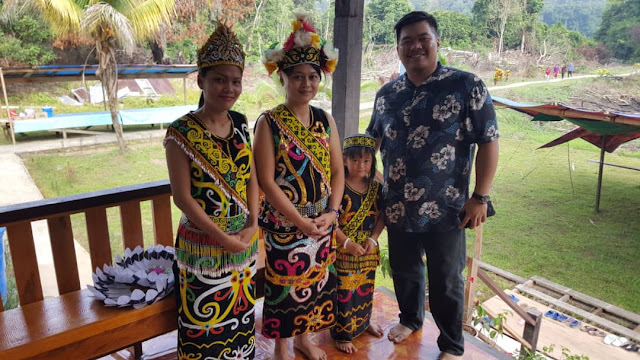 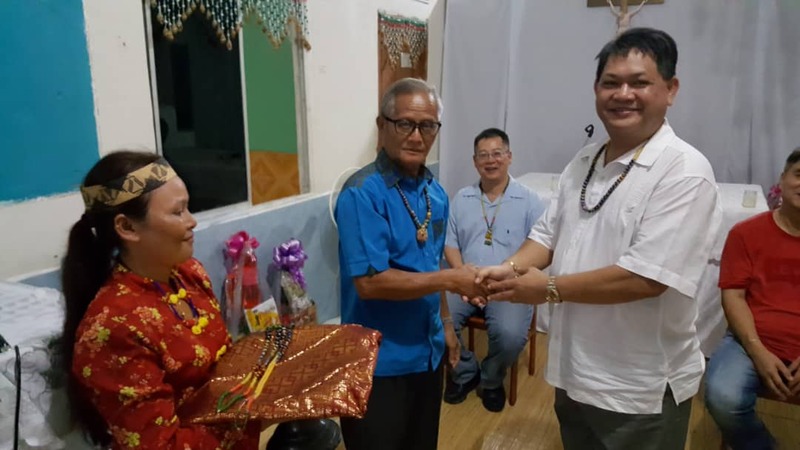 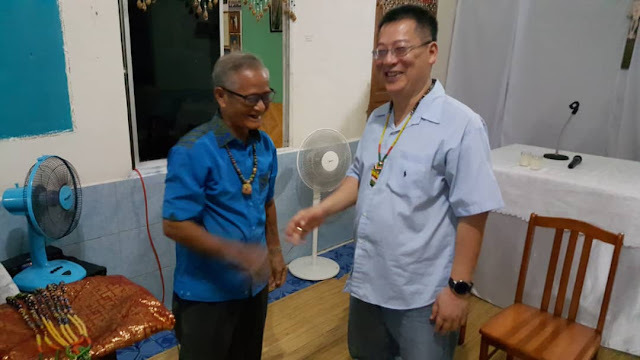 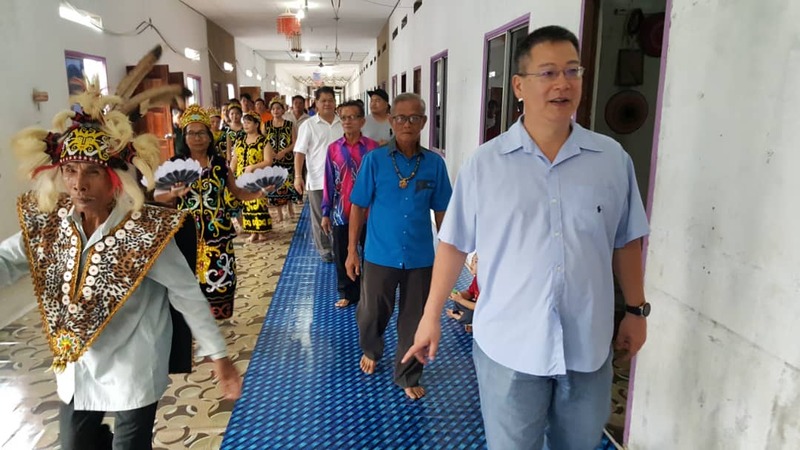 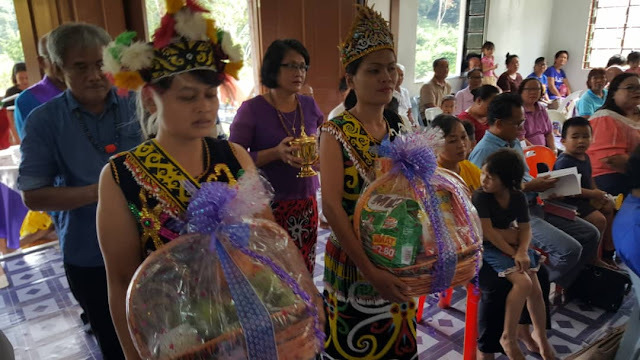 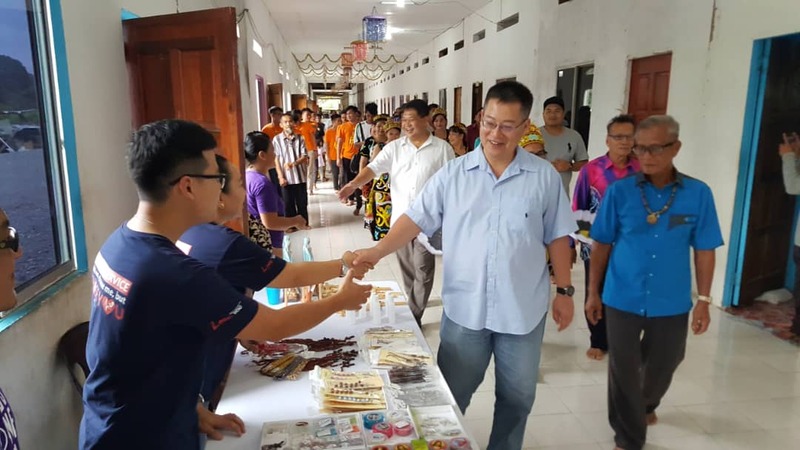 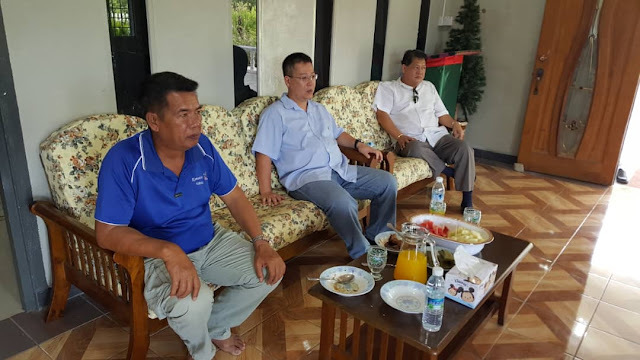 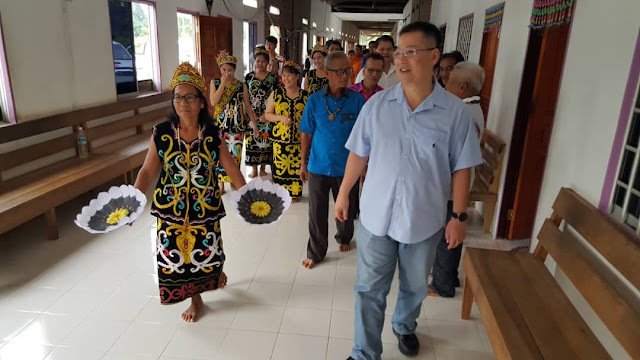 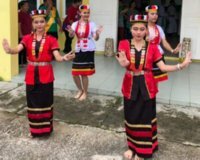 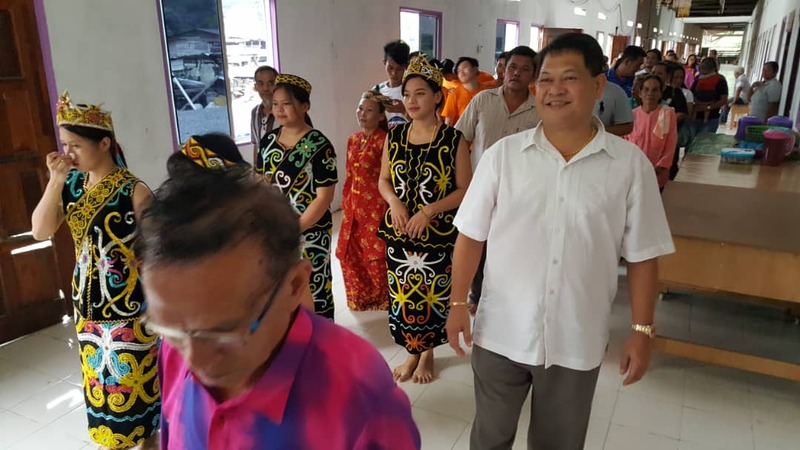 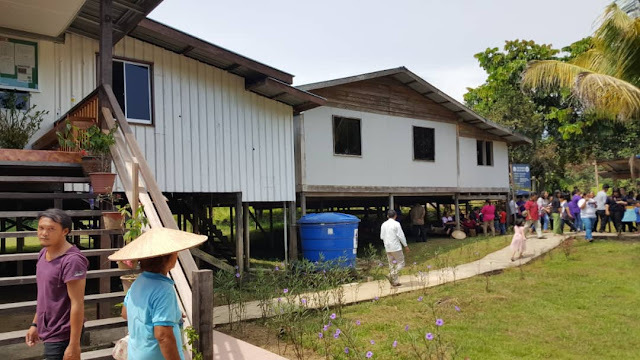 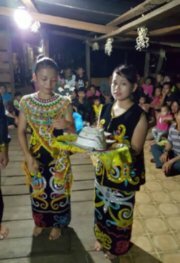 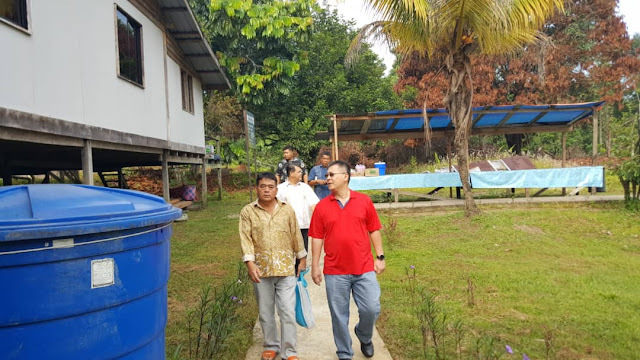 The pastoral visitors put up one night at Uma Juman Aor Pelisit, Tubau 34-door Kayan longhouse 100% Catholics located 33 km away from Uma Wan Usin. 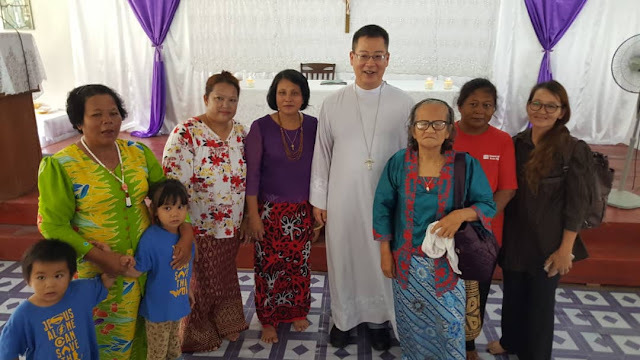 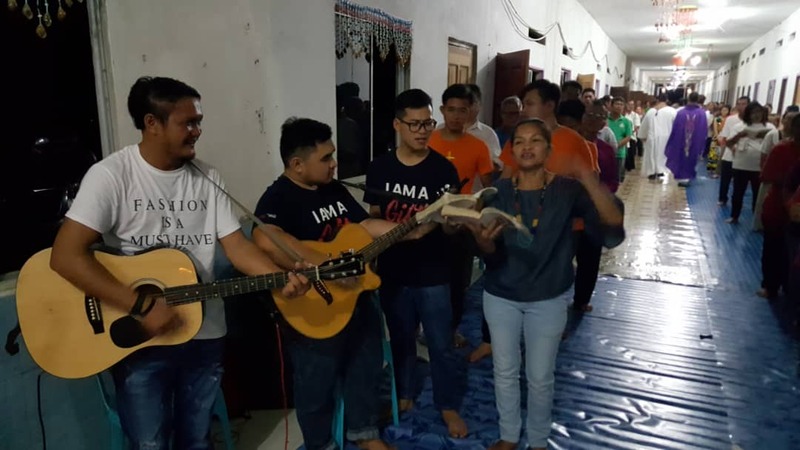 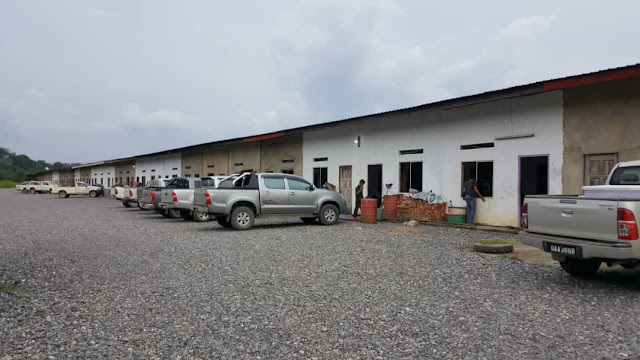 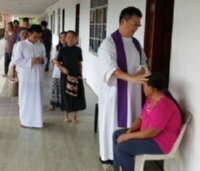 Holy Cross Parish, Asap serves around 60 longhouses not counting the camps and plantations where there are catholic communities including migrants Timorese. The Rector for Holy Cross Parish, Asap is Fr. 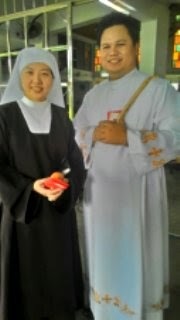 John Chia, he is assisted by Fr. 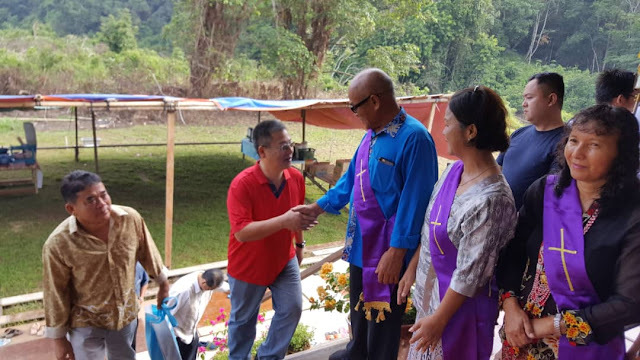 Sylvester Ngau. 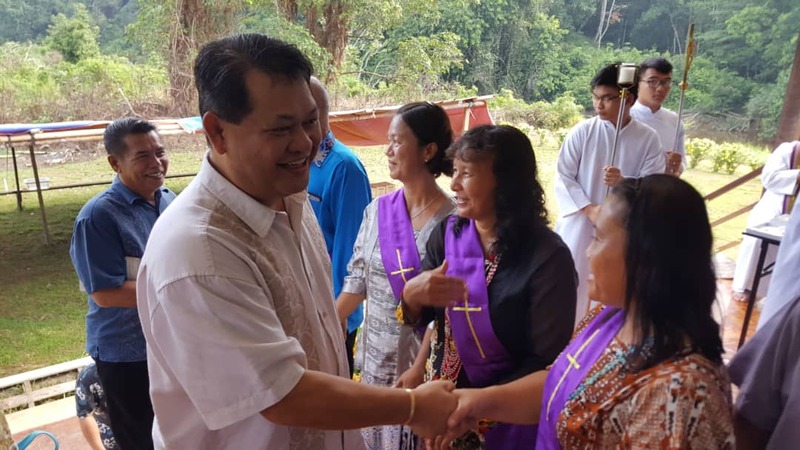 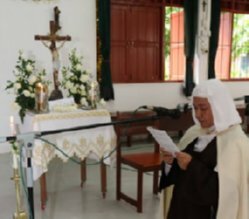 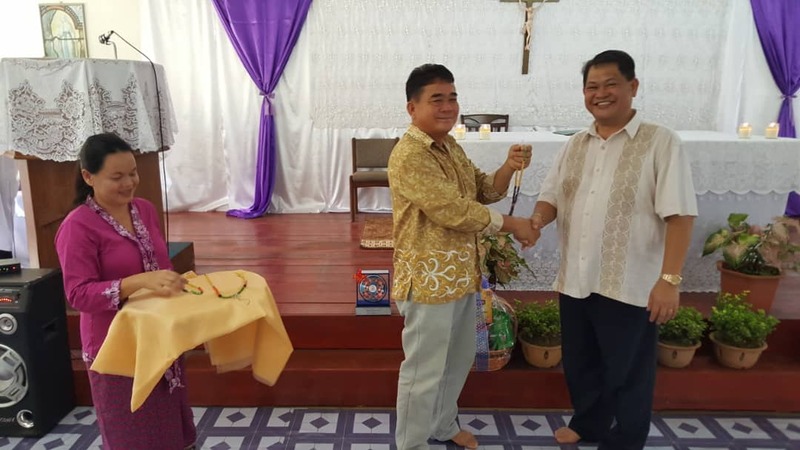 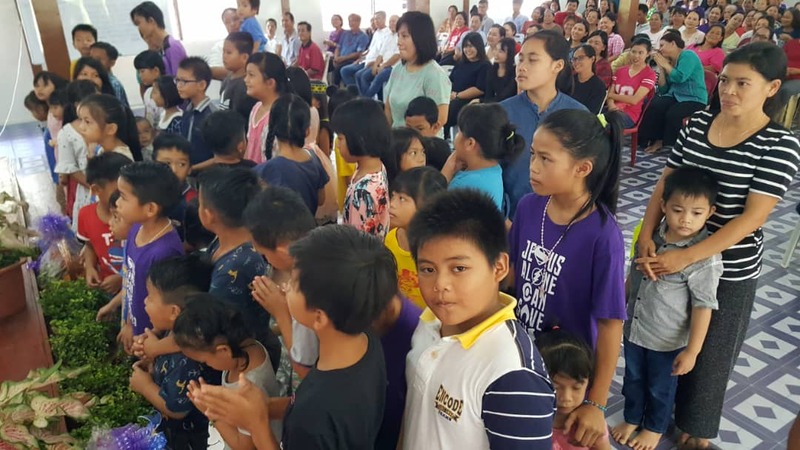 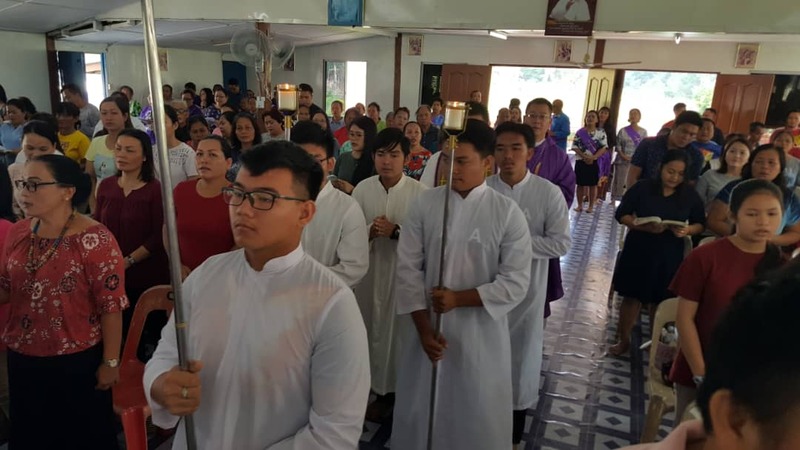 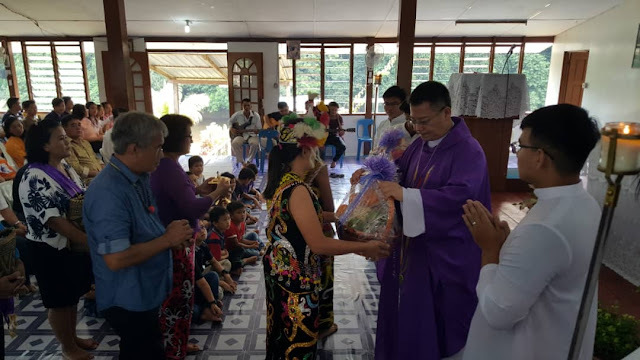 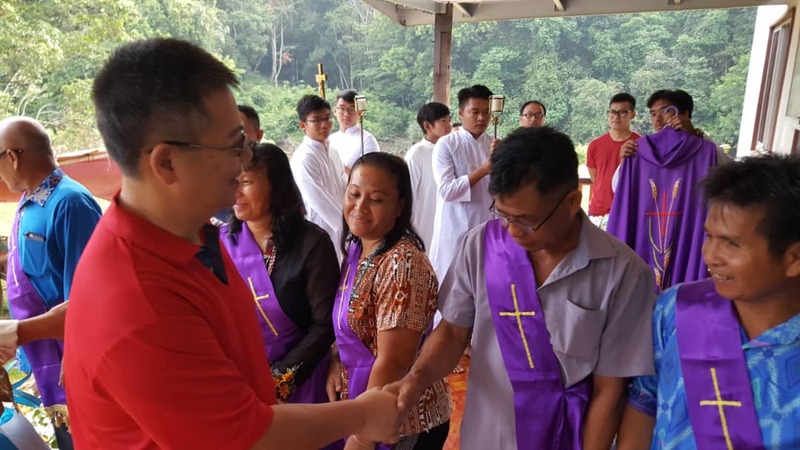 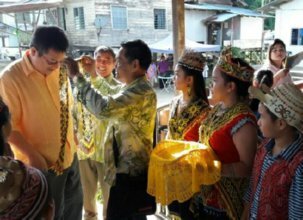 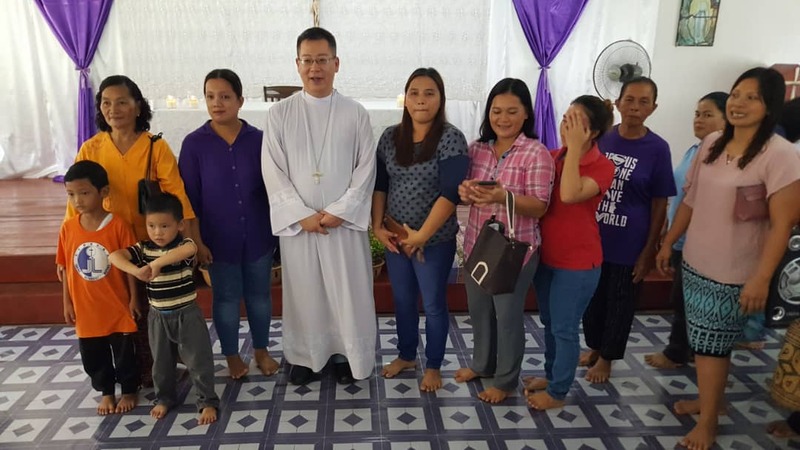 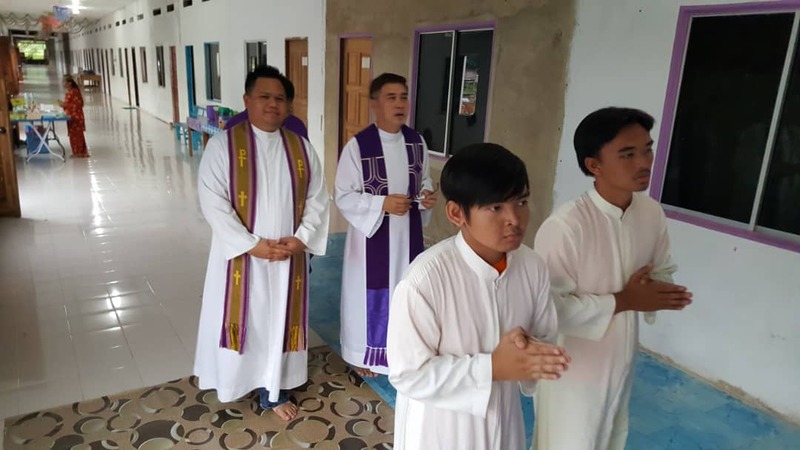 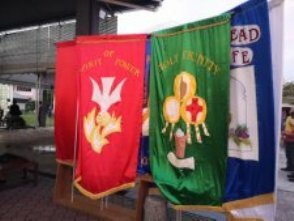 There is a requirement to add another priest considering the number of longhouses, camps and plantations under the parish in Asap. 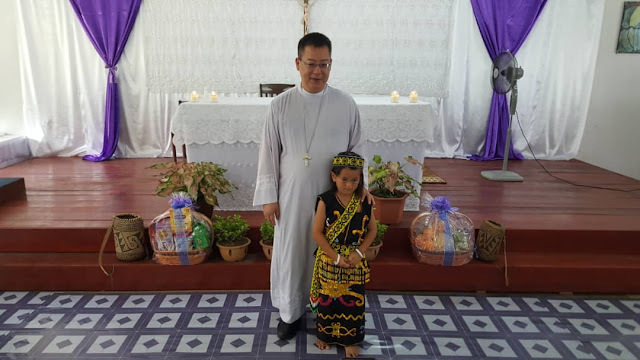 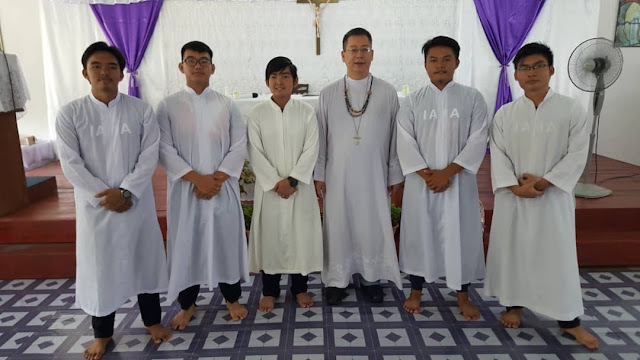 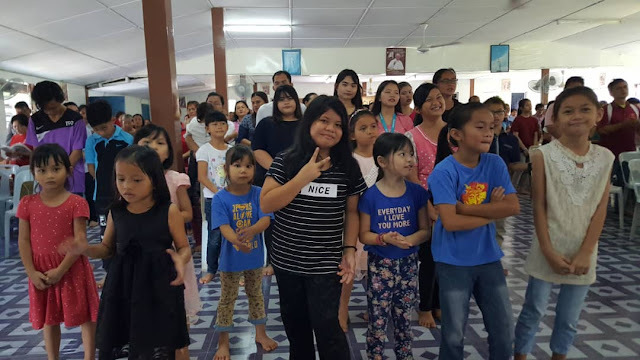 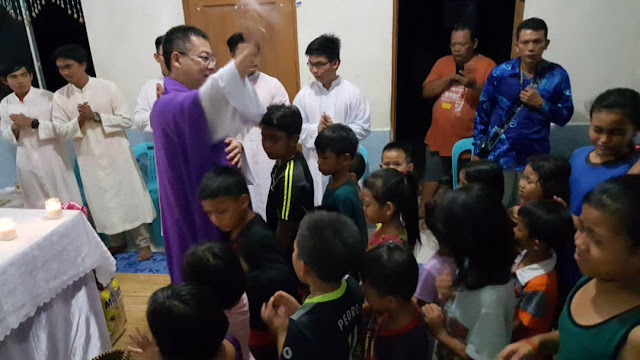 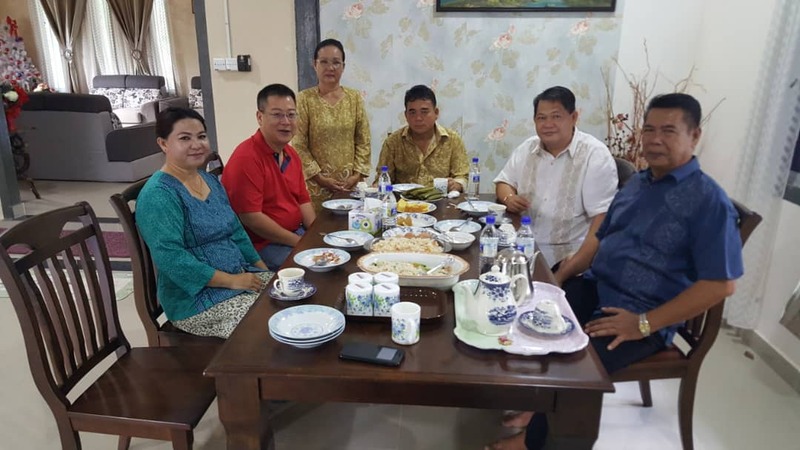 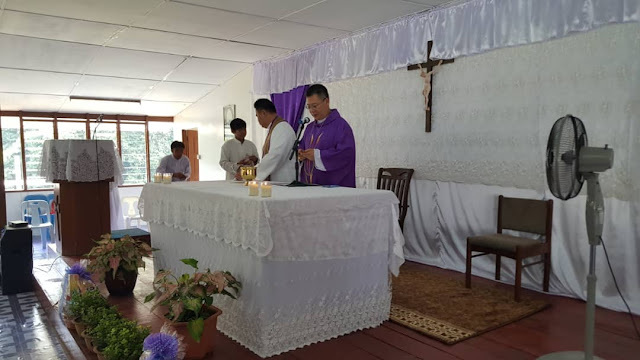 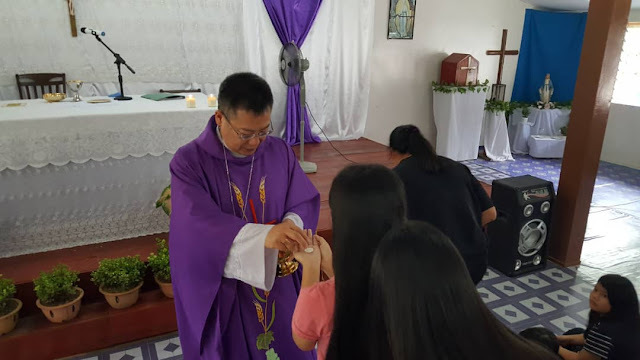 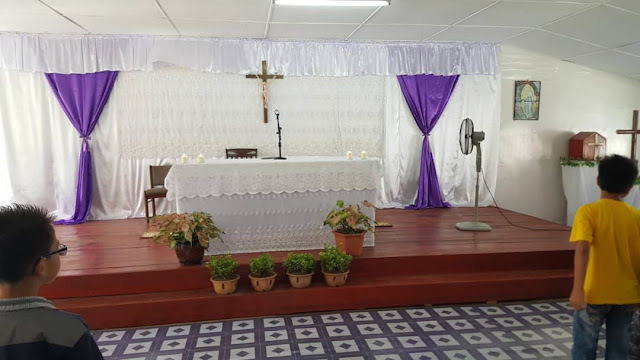 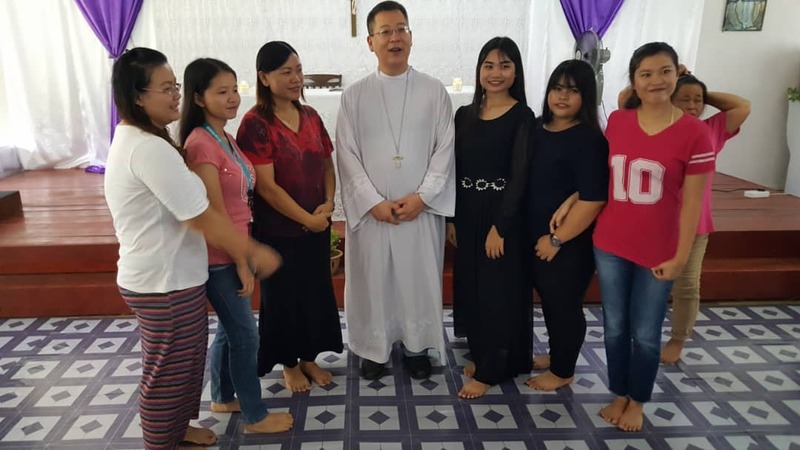 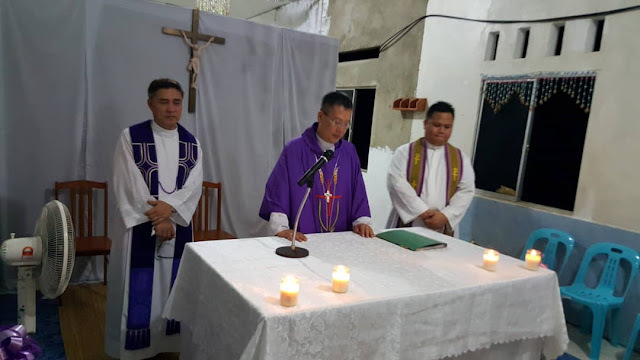 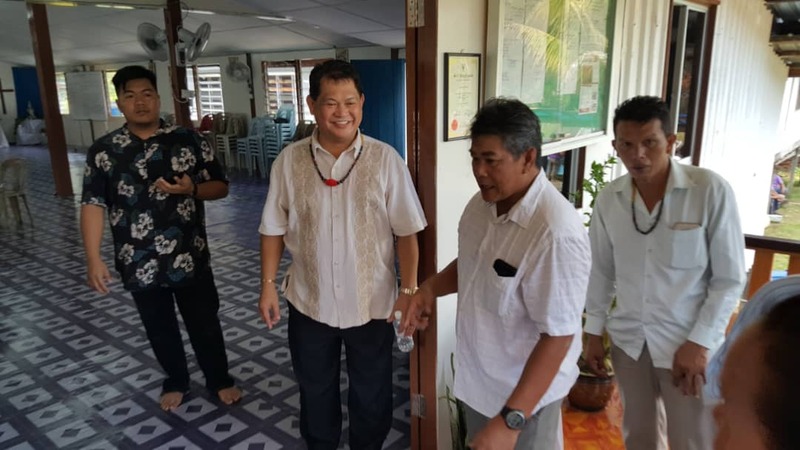 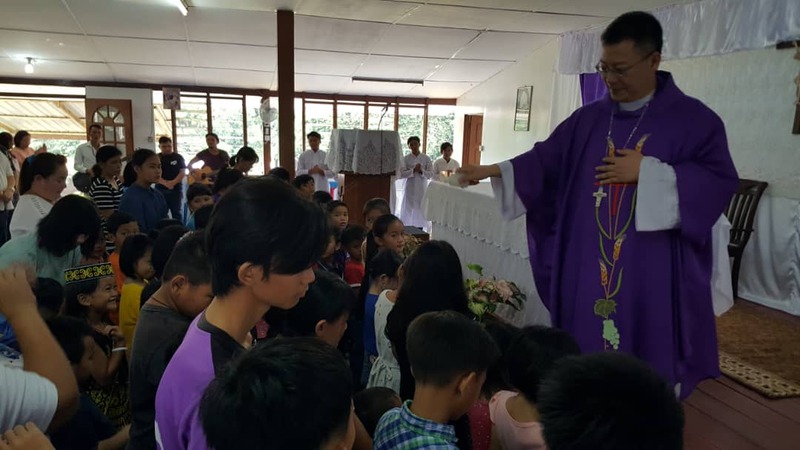 Next morning 7th April 2019, His Lordship Bishop Richard Ng and Fr. 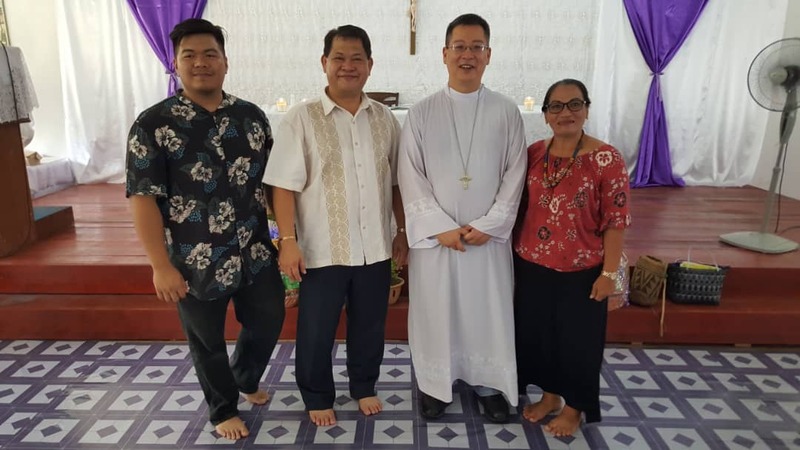 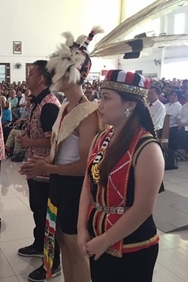 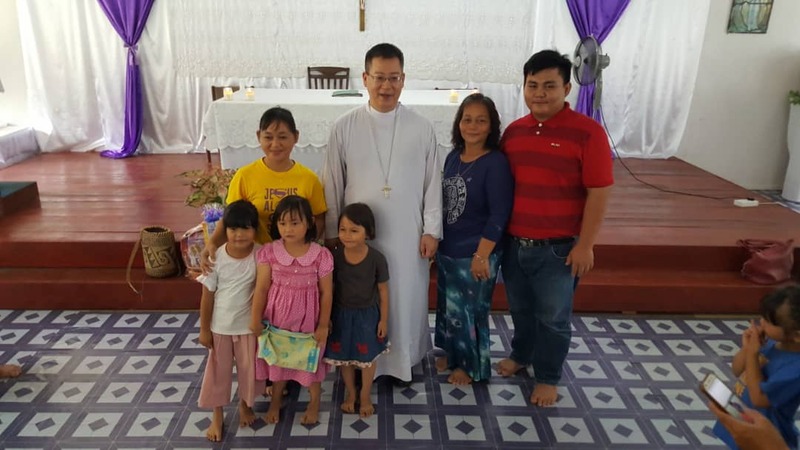 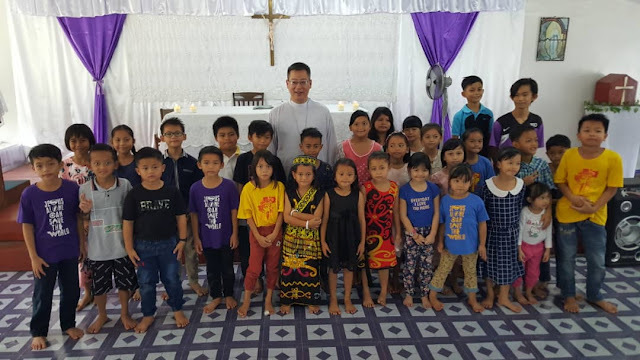 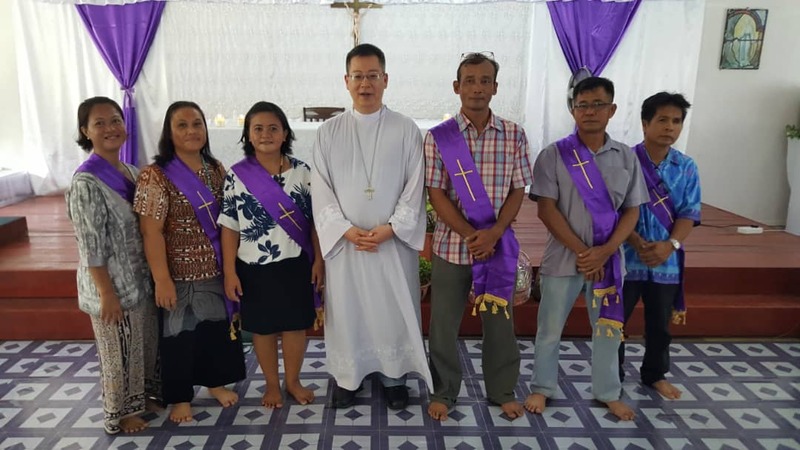 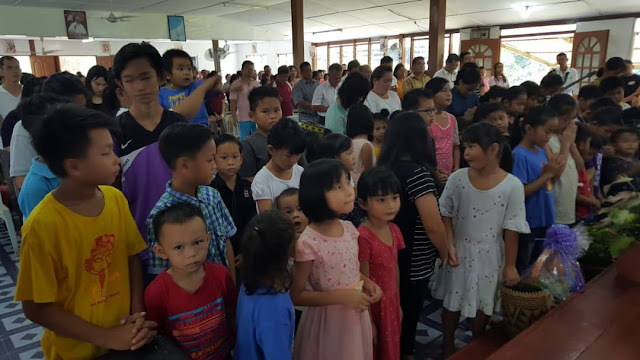 Sylvester Ngau celebrated Sunday morning Mass with some 350 parishioners at Gereja St Paulus, Tubau. 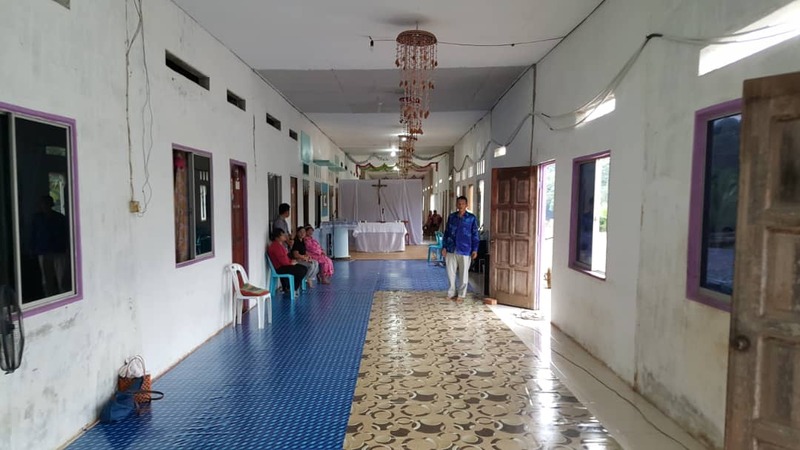 The church was built by RTP Rural Transformation Project 2018. 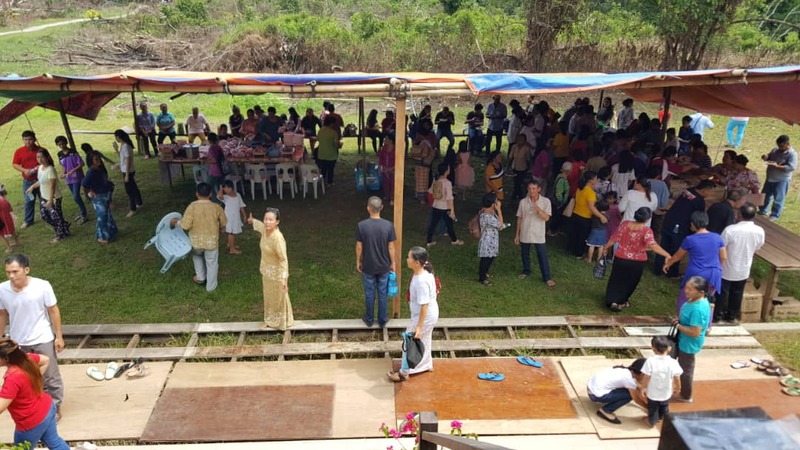 A Lunch welcome celebration was held outside the church entrance compound after the Mass service. 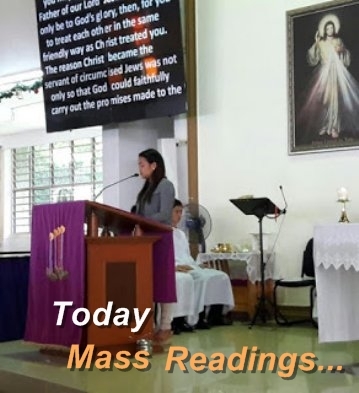 Compiled and edited by Ben Chang.